Click 'Start Monitoring' button to start monitoring online/offline system activities. 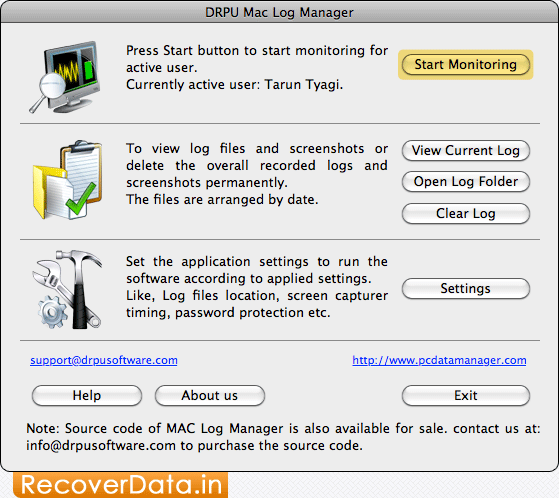 Click on 'General ' tab to select options which you want to monitor. 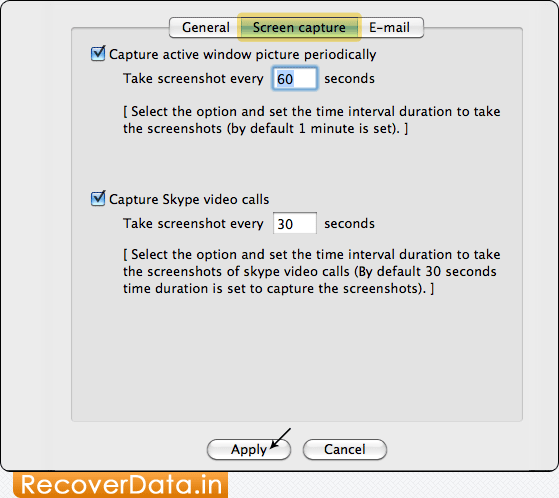 Now Go to the 'Screen Capture' tab and then set the time interval duration to capture screenshots.